Introducing the ferocious FireCuda â€” providing gamers, creative professionals and tech enthusiasts with a very satisfying flash-accelerated HDD experience. Tough, Ready and Scalable â€” for NAS and RAID. NAS-optimised to be 24Ã—7 in NAS enclosures. IronWolf is tuned with AgileArray, providing drive balance with rotational vibration sensors, RAID optimisation, and advanced power management. 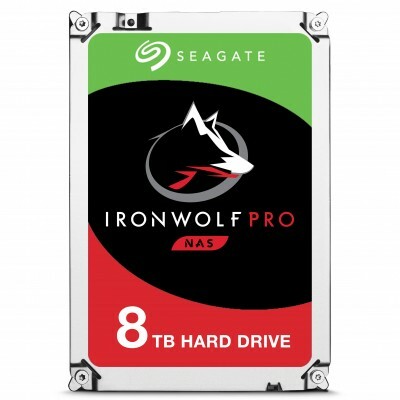 IronWolf is equipped with multi-user technology, allowing you to do more with your NAS. Smart, safe and secure, SkyHawk is engineered for 24Ã—7 video recording. Record more with support for up to 64 HD cameras backed by a 180 TB/year workload rating, 3Ã— the workload rating of desktop drives, and store over 2,000 hours of HD video on capacities up to 10 TB. SkyHawk surveillance storage scales with your needs.